Wow! 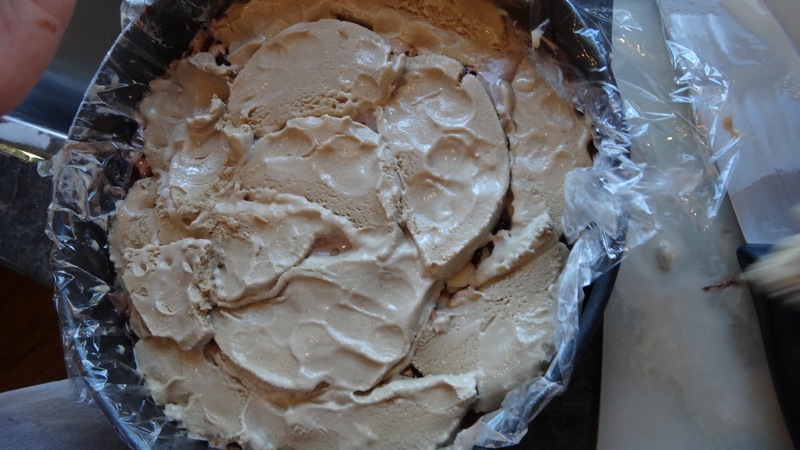 This was one of the nicest ice creams I have ever made. If you think olive oil in an ice cream sounds strange you must try it to believe how complex and truly delicious it is. 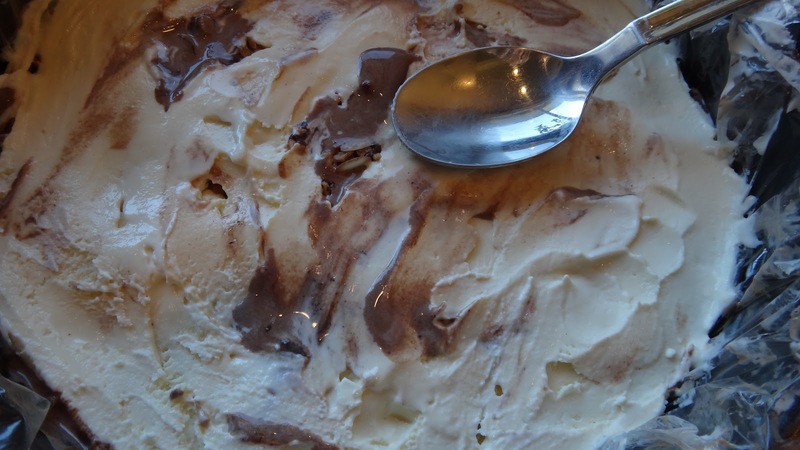 When you first taste the ice cream it has a beautiful honey and vanilla flavour however, if you drizzle a bit of your best oil on top and sprinkle a bit of flaked sea salt you will be blown away with how fantastic this combination is. Simple and Divine! Get a fantastic premium olive oil for this recipe as it is the star of the show! I used Lugano’s Mandranova Biancolilla oil which is fruity and gorgeous. Step 1: In a heavy saucepan add milk, cream, honey and pinch of salt. 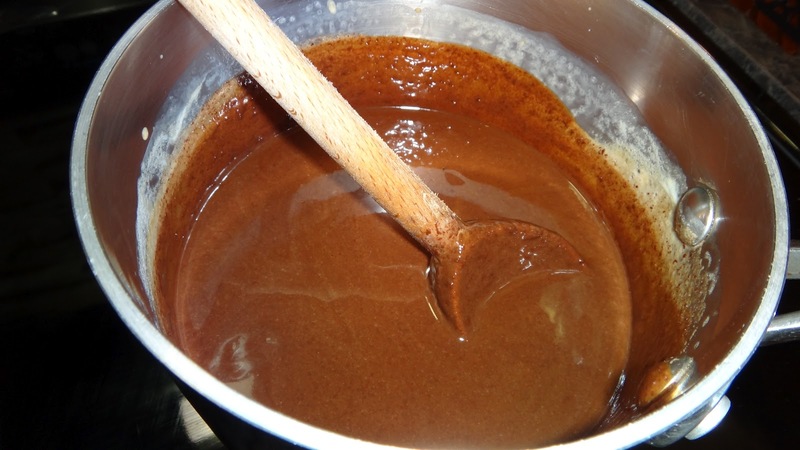 ( by adding a pinch of salt you balance the sweetness in most desserts) On a medium low heat whisk the cream almost constantly until the honey is melted and the cream is warm but before it comes to a boil. Step 2: remove from heat and add a small amount of the warm cream to the egg yolks. Immediately stir to cool the cream and incorporate the eggs before they start to cook. Add the tempered eggs to the rest of the cream in the pot and whisk immediately to incorporate. Step 3: return to the heat and continue whisking constantly until the cream just comes to a slow boil. I do this on a medium heat (you do not want to have it boil too quickly) I stir for between 5-8 minutes until it just comes to a boil and slightly thickens. From time to time run a spatula around the edges of the bottom of the pan to make sure you stir the custard completely. As soon as it comes to a boil and thickens slightly. Remove from heat. Step 5: add olive oil and vanilla paste and whisk to combine. Let sit on counter to cool, then place in fridge to chill completely 4-6 hours at least. 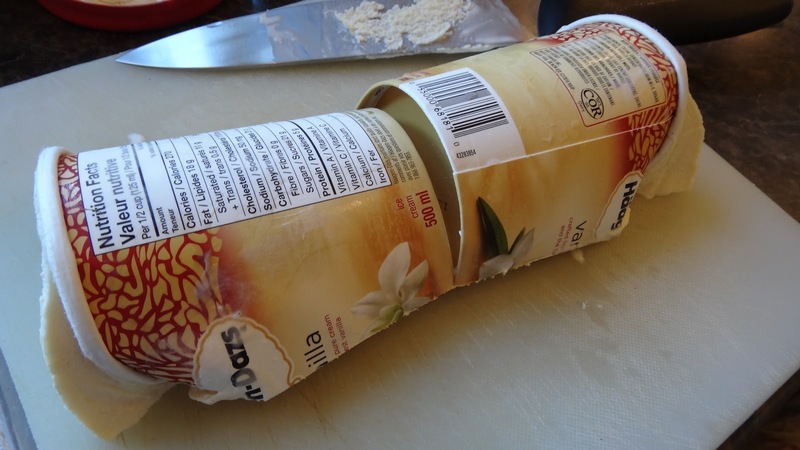 Step 6: pour custard in an ice cream maker until it turns to ice cream. 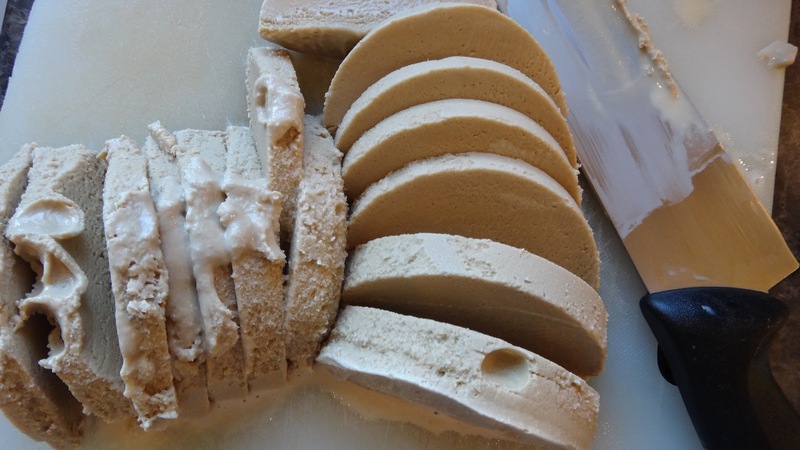 Freeze until slightly hardened. This will take a few hours. Scoop and pour some more of your best olive oil on top along with a little flaked sea salt. 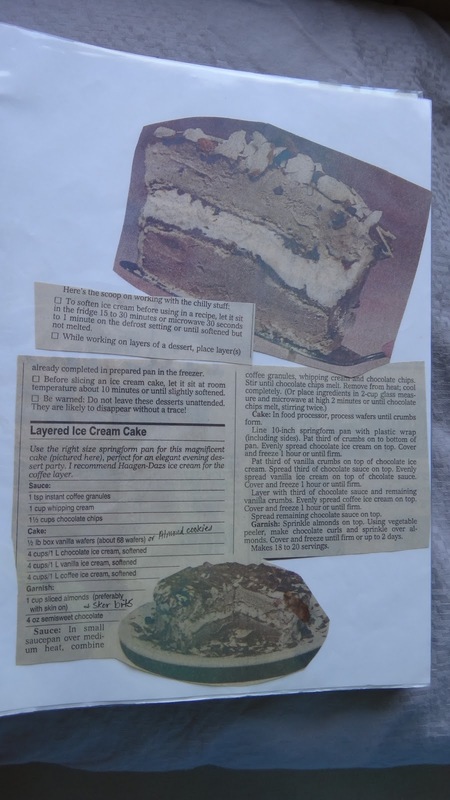 This is an ancient recipe I found in the Toronto Star in the 80’s. Look how nicely I cut out the article and glued it on paper and put it in a binder! (obviously the work of someone in their 20’s creating something special OMG!) 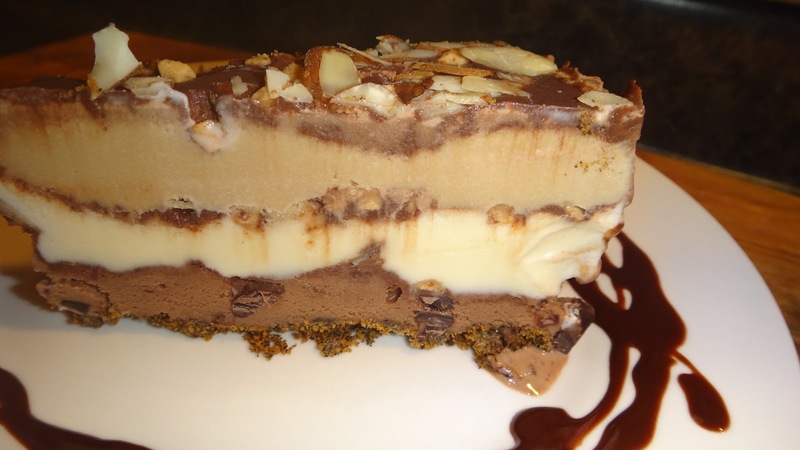 I have modified it in a few ways but, it is based on this recipe called Layered Ice Cream Cake. This is the kind of cake all men go crazy for for some reason. Even when they say they don’t like ice cream cake they love it. It’s right up there with the key lime pie. 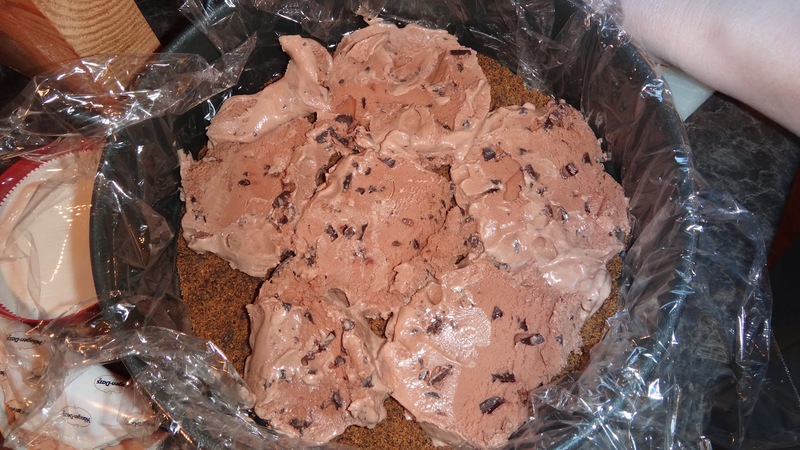 There is no baking involved (obviously) and it can stay in your freezer for at least a month. This is a perfect dessert for a summer party. You can make it the day before and it feeds a huge crowd. I am telling you they go nuts for it! 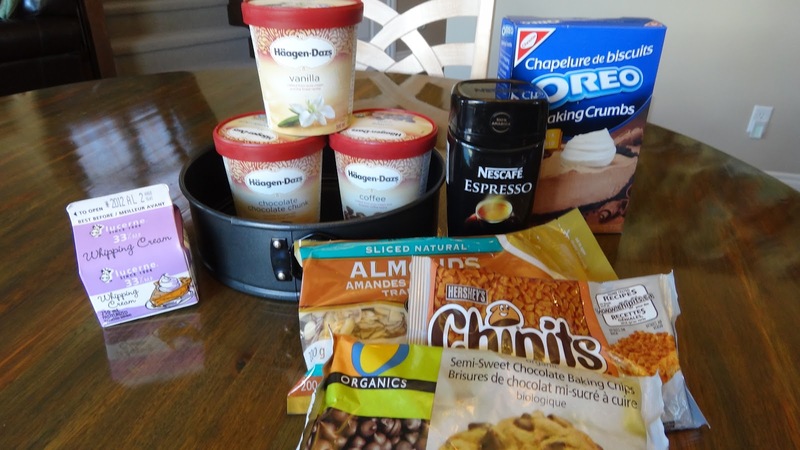 *in the first picture I forgot the Oreo crumbs in the second I forgot the almond cookies so, I have included both. It ain’t low fat but, it’s high impact! and you don’t eat it it everyday. 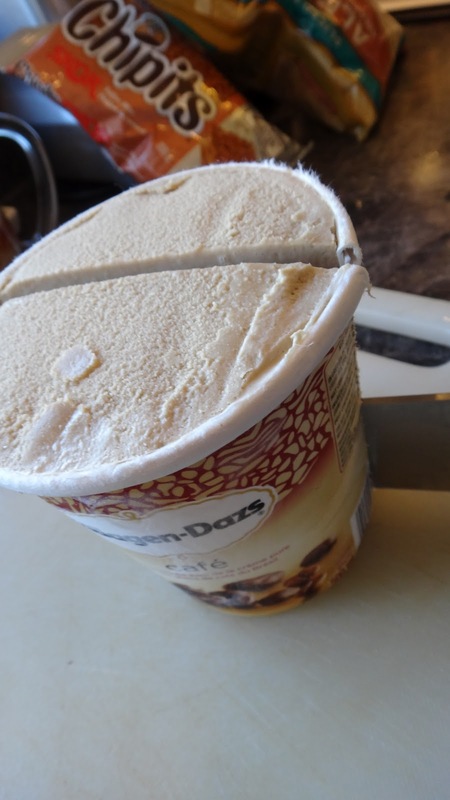 I think you have to use a high quality ice cream here- Ben & Jerry’s or Haagen Dasz is perfect for quality and size of container. There are lots of steps and it can be messy but the end result is so worth it. The only real effort is making the chocolate ganache/sauce and making the crust. 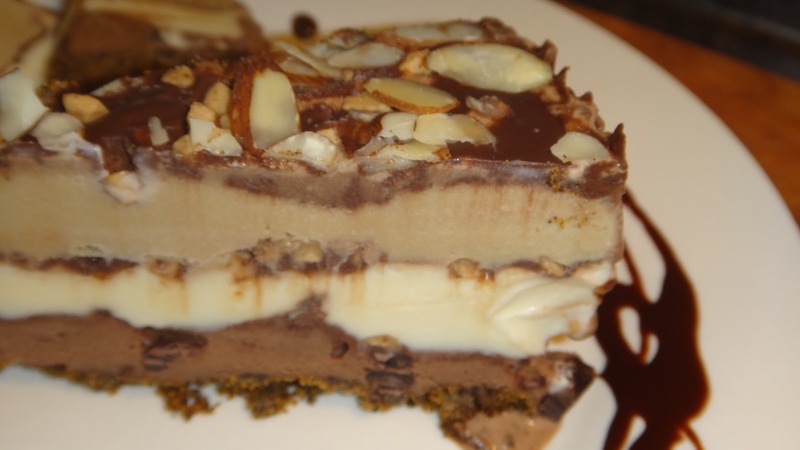 If you are not a baker this is an impressive dessert and you will look like a star. Did I mention? It is crazy good! 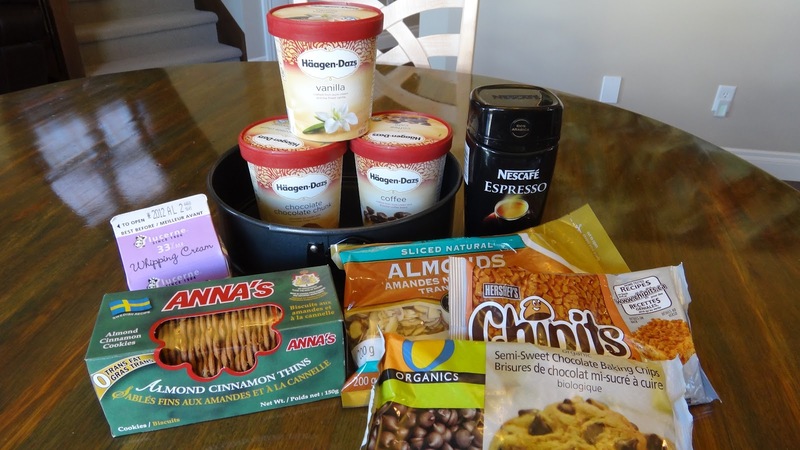 Let the ice cream soften for 20 minutes before using. Step 1: completely line the spring form pan with plastic wrap so it comes over the outside edges. powder, add I tbsp melted butter (20 seconds in microwave) and 1/4 cup Oreo crumbs. 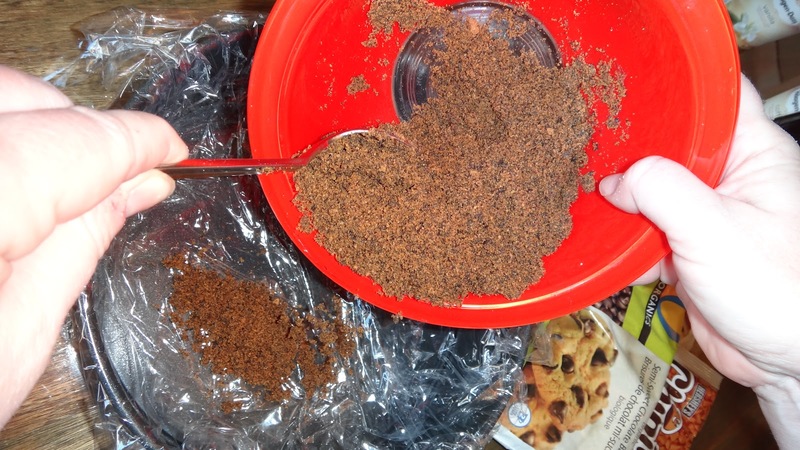 Press the crumbs into the plastic lined pan making sure its even and in all corners. 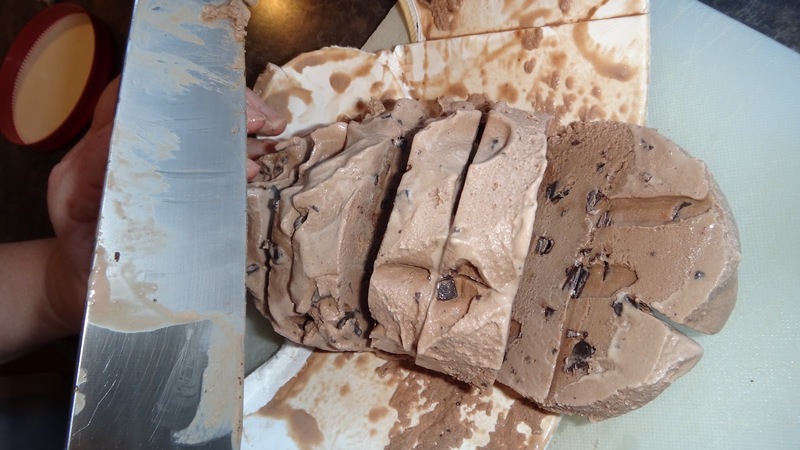 Step 4: layer the ice cream over the crust and squish with your fingers or the back of a spoon to help fill in gaps. 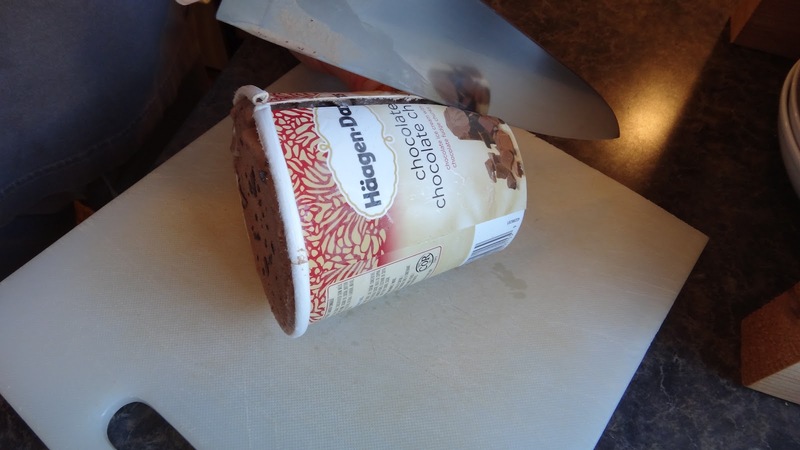 Put back in freezer for 10 minutes and you can add the other tubs of ice cream back to the freezer while you make the ganache (chocolate sauce) You could also make the sauce first before starting the recipe. Step 4: take a small container of whipped cream and let come to just boiling. Watch it! it will happen quickly and can easily boil over the pot if you walk away. (ask me how I know that!) 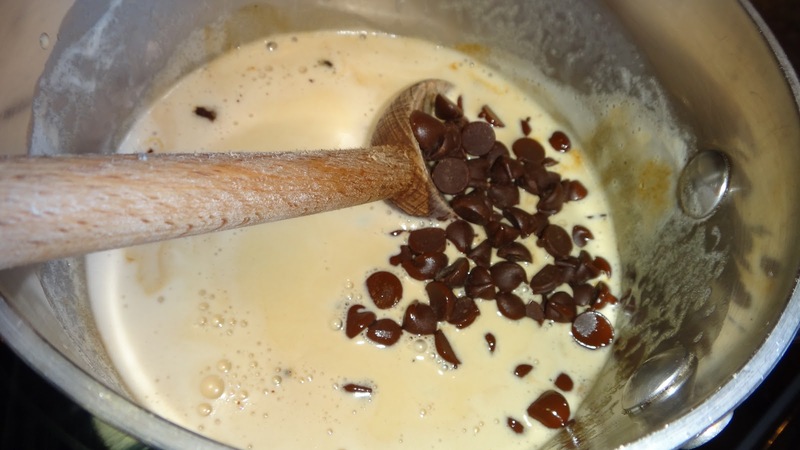 As soon as the cream boils remove from heat and add 1 1/3 cups of good quality choc chips (don’t buy artificial chocolate, you have invested in good ice cream do not go cheap now, it makes all the difference!) Leave the chips for 1 minute and then stir until all chips melt and you have ganache. Remove from pan add add to something you can easily pour with. I used a large measuring cup. 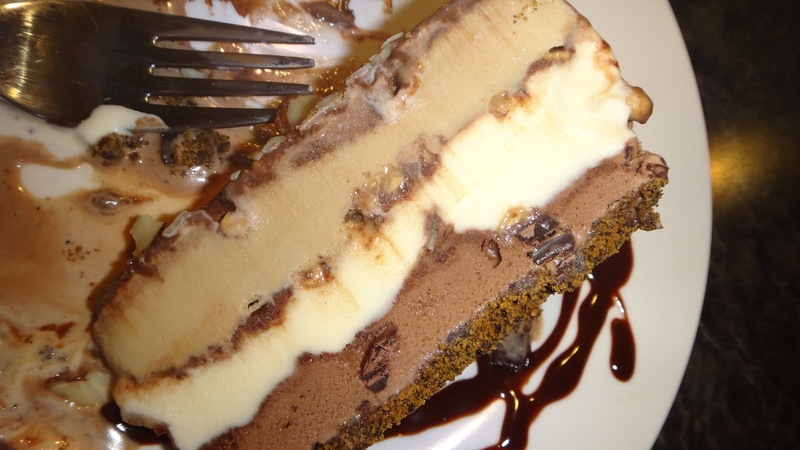 You should have enough sauce to cover the layers and have leftovers for serving with your cake. 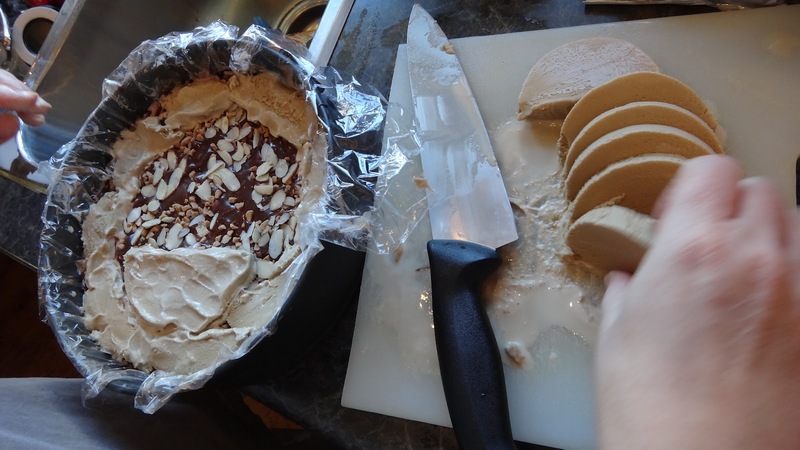 Step 5: get cake from freezer and pour a layer of sauce on chocolate layer of ice cream, then add some Skor bits and almond slices. 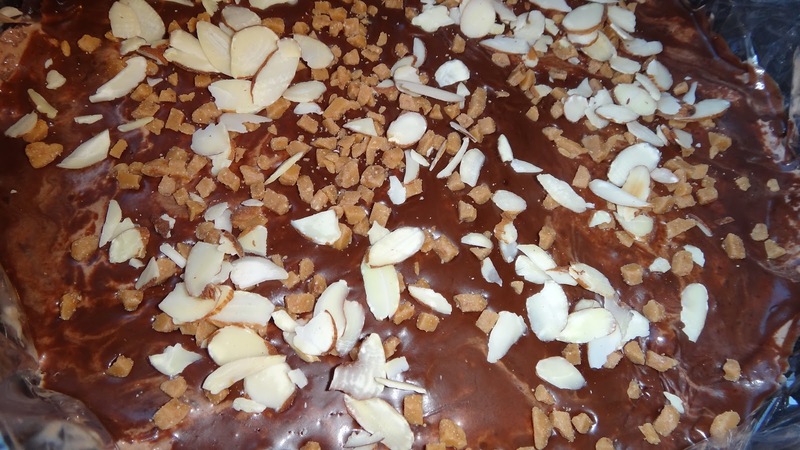 Step 7: add more chocolate ganache/sauce, sprinkle almonds, skor bits, put back in freezer another 10 minutes. Step 9: cover final layer, smooth with back of spoon. 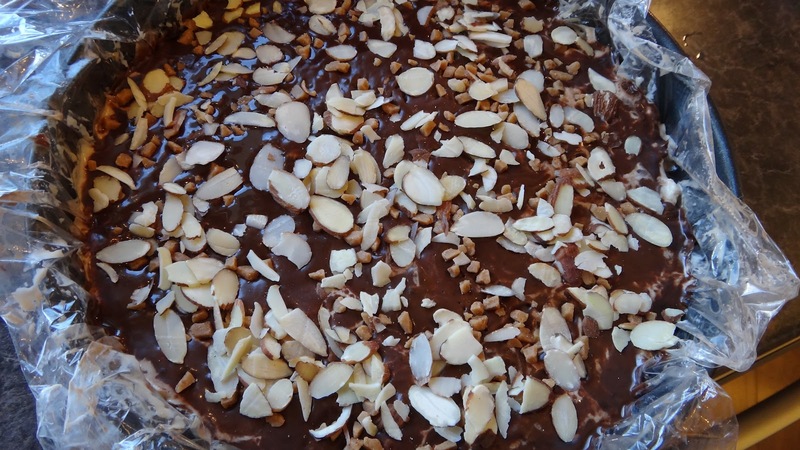 Step 10: cover with chocolate ganache, almonds, skor bits and put in freezer at least 5 hours to firm. Step 11: remove the spring form outer ring. Peel back plastic wrap and cut with a large knife run under hot water for a few seconds and dried off. It makes a clean cut. You will just need a tiny slice because it is very rich and incredibly divine. 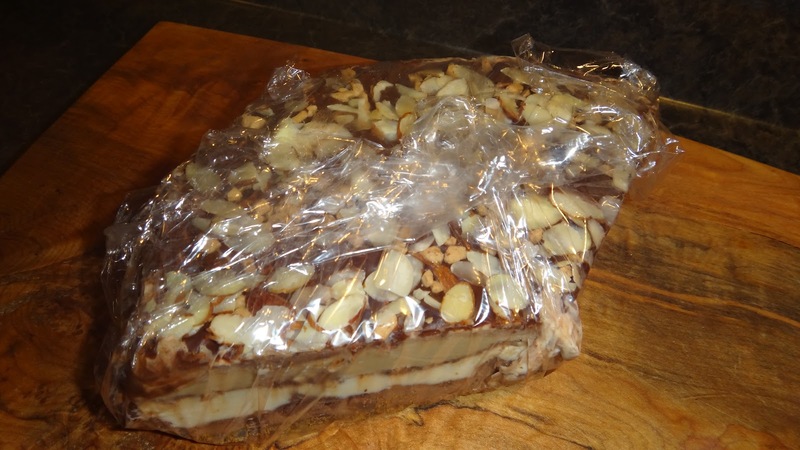 You can also remove the nasty, melty plastic wrap, then just pick up entire cake and put on new clean plastic wrap. You can entirely cover the cake with plastic wrap once it is frozen solid. 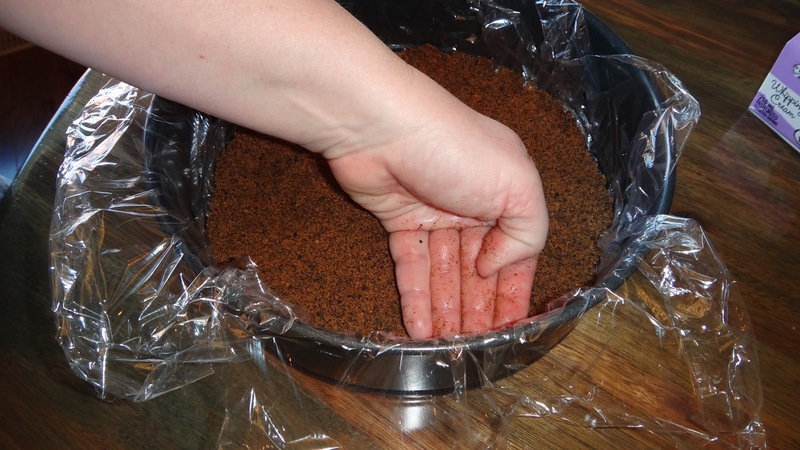 It is a good idea to cover cake entirely so it does not absorb any smells from anything in the freezer. It can stay in freezer for up to a month. Not that it will last that long! I know you want to make this!